Acer negundo Kelly's Gold is a slow growing, smaller box elder cultivar. 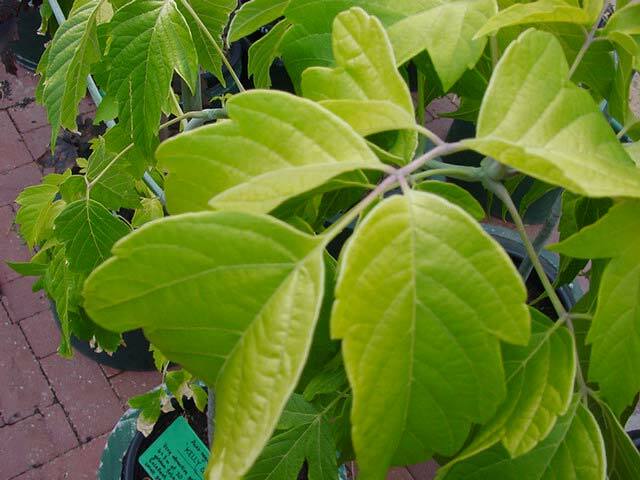 It has a broad canopy making it a useful shade tree particularly in small gardens. During summer the bright yellow green leaves make a wonderful contrast. It can be used as a feature tree or for shade. Soil: Most well drained moist soils.